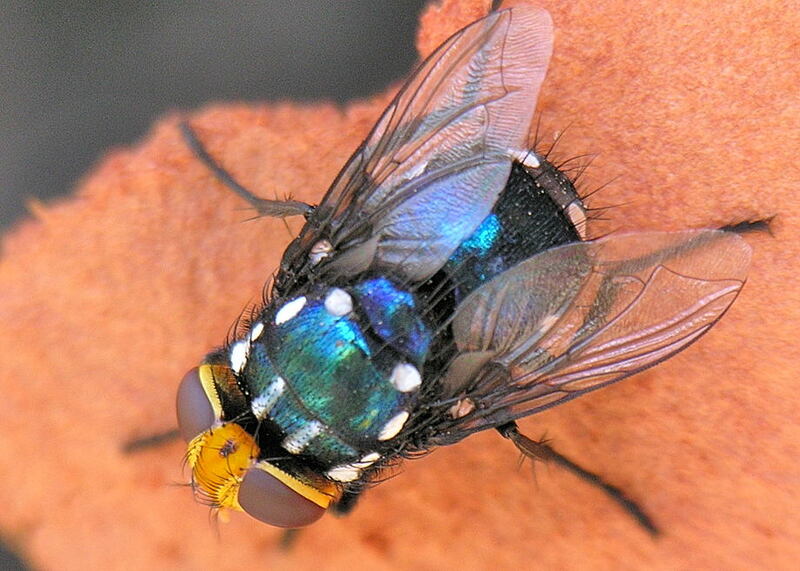 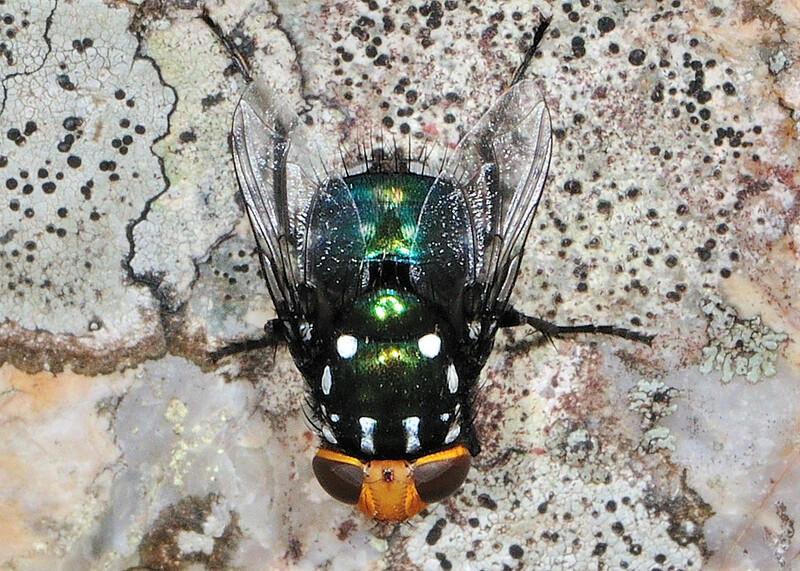 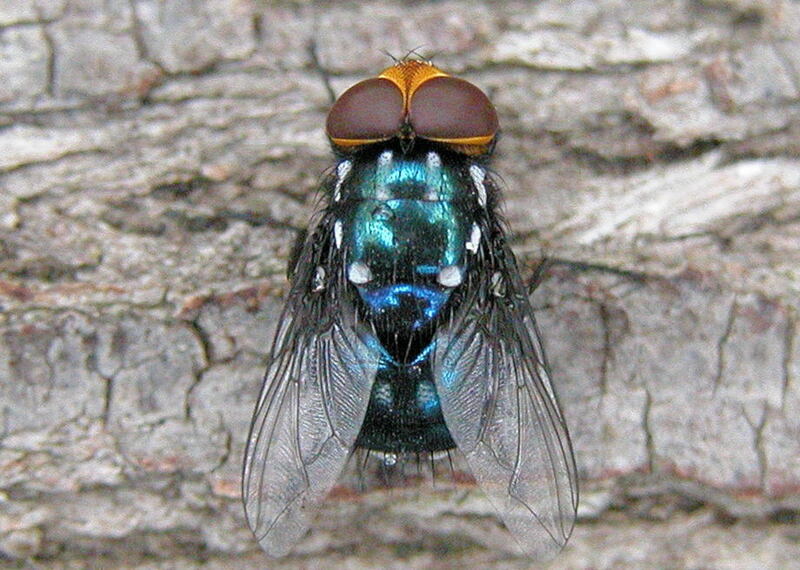 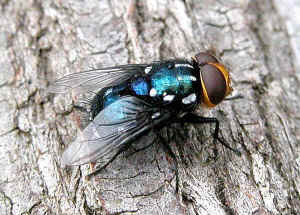 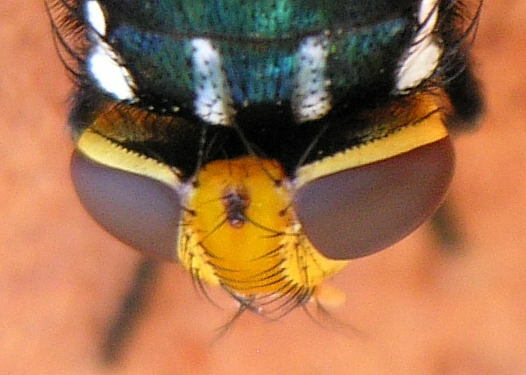 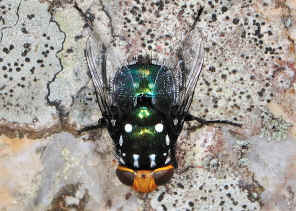 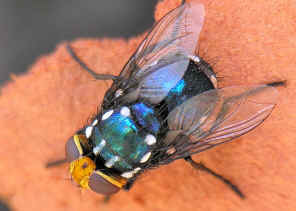 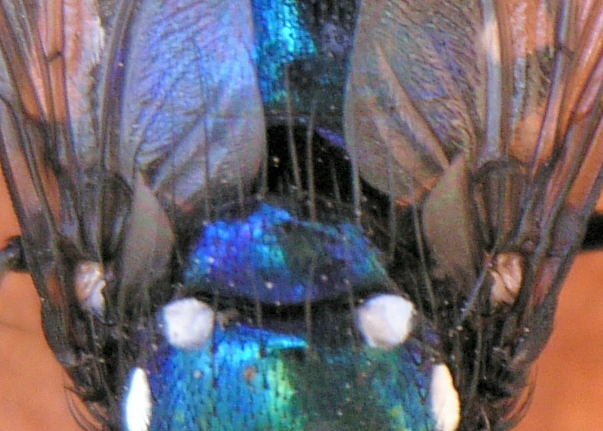 This Snail Parasitic Blowfly is metallic dark blue in colour with the bright orange colour face. 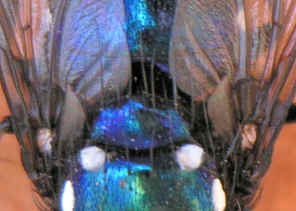 On the thorax and abdomen tip there are the shiny white spots patterns. 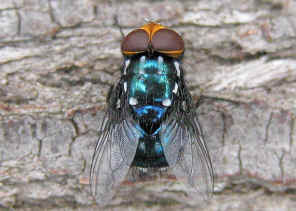 - Median marginal setae on T3. 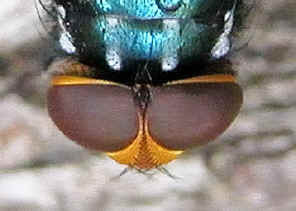 - Male head very broad, over 1.15 times of thorax. - Head of male golden orange. 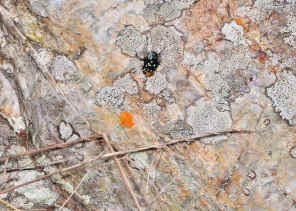 Found this female in Anstead Forest on Sep 2011. 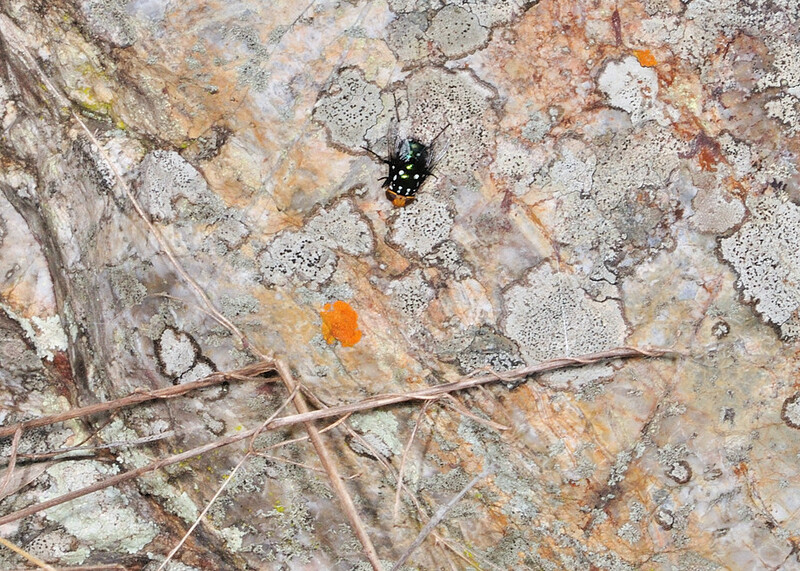 It was resting on the vertical surface of a medium size rock, could be waiting for something.